Be a part of the 4th annual Learning Experience Design Conference in Amsterdam on March 20, 21 and 22. This edition is all about how to design impactful learning experiences. We all seek to learn from experiences that have a lasting, positive impact on ourselves and the world around us. But how do you design such an impactful learning experience? That's what we are going to debate, discover and design during the fourth annual Learning Experience Design Conference in Amsterdam. This is not a traditional conference but an event that is highly interactive and engaging. We offer a varied program that reflects the diversity in learning experience design with talks, discussions, workshops and case studies and a masterclass. Join creative learning professionals from all over the world to learn from and with each other. 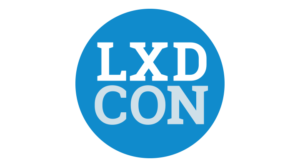 LXDCON is the first and leading conference in the field of learning experience design with events in Europe and Asia since 2016.